Down On The Corner was written by John Fogerty - lead singer from the band Creedence Clearwater Revival (CCR). 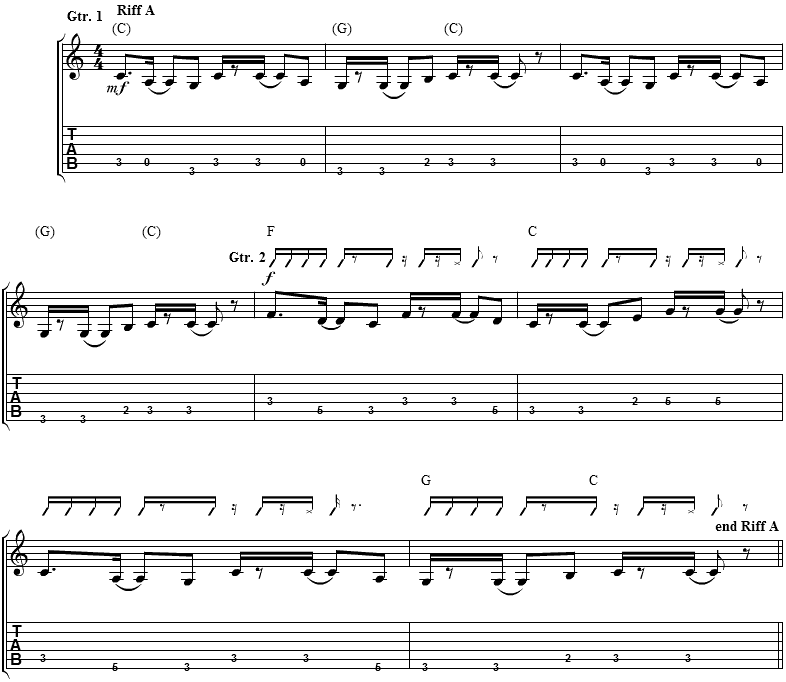 Please Note: We have included the Intro Tab of the guitar riff that occurs throughout the song. Due to the nature of the strum pattern, it is preferable to play the chords as barre chords... all charts below. "Down On The Corner" chords and lyrics are provided for educational purposes and personal use only.